The 32km James Bhutty Moore-morial Race open ocean race attracted 130 paddlers this year. The race is a tribute to James Moore, who drowned while training in the waters off Mount Maunganui in July 2008. This year, the race had a strong presence from Raglan with seven paddlers in waka ama singles and one ocean kayak paddler. 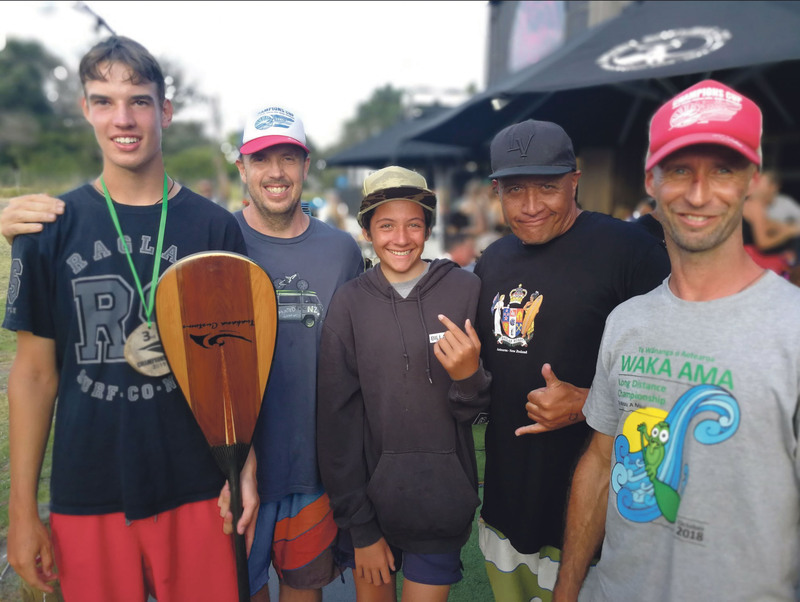 Two other Raglan paddlers, who had put in the long hours of training needed to compete in the event, had to sit the event out due to injuries. Adrian Kennedy was one of those competitors representing Raglan on race day, which coincided with his 16th birthday. Adrian has come a long way since he started paddling 18 months ago. He’s had an incredible support and training crew, which has helped him achieve this growth. Up until six months ago, Adrian was also devoted to rugby and was planning a trip to Argentina with St Paul’s Collegiate, but after a number of concussions he was told he couldn’t play rugby any more. Heartbroken, Adrian turned his energy 100% to Waka Ama and paddled long hours to prepare himself over summer for this weekend’s race. Adrian completed the race in an impressive 3:38 mins. After the race he said he was relieved he had been able to, “paddle this sanctioned eventˮ, and was, “stoked with the support of his Raglan mentors.ˮ Adrian placed third in the Under 21 division. 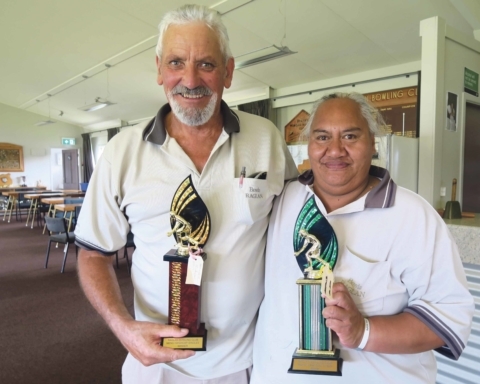 “I had a feeling half way through the race that I am going to win a spot prize at the prizegiving and If I do I am going to give it to you.ˮ Fellow Raglan competitor Tim Duff had said to Adrian, while congratulating him after the race. Adrain said he’s “inspired to keep training hard” and is “looking forward to upcoming events and competing in this race again next yearˮ.